2019 update.I was interviewed for Mamstartup.pl (“I’ve got a startup”) in 2011, by Lech Roma?ski. 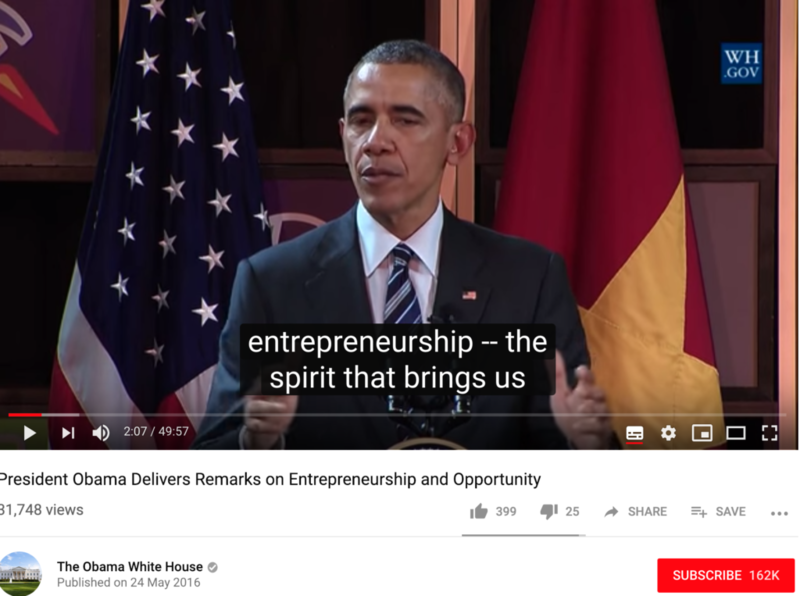 Preparing for a Sunday teaching entrepreneurship for an International MBA, and a Monday morning workshop in a high school, I was reminded of this blog post by a teacher who really liked it so I updated it in January 2019. I am not the first of last person saying this – but the message bears repetition, so here is what I said. Why entrepreneurship is so important? Entrepreneurship has always been important. The concept of a person or group of people using their minds and creativity to solve a problem is both the foundation of a business and also basis of human progress. Throughout history there are many examples of societies where the means by which those in charge mobilised their citizens to action were through fear and raw power. The entrepreneurial drive of the leaders of such societies could on occasion produce some kind of result but at a terrible cost. Whether it was the Roman Empire, Hitler’s Germany, Stalin’s USSR or today’s North Korea we can see that even if roads and rockets get built, terror and slavery does not produce prosperity, happiness or sustainable progress. The most powerful, creative and dynamic societies are those where people decide for themselves that they want to do something, to change something, to make something happen, and do so for their own reasons at their own timetable. Self interest, broadly defined, is much more than just looking for a cash profit: ultimately it means people doing what they want to do with their lives. Societies built on individual incentives and free markets have delivered far greater opportunities and prosperity than the alternatives. The role of the entrepreneur is absolutely central in making this happen. Technological progress, the profit motive, capital mobility and competition ensure that new ideas and technologies are examined, considered, adopted and tested. Every new technology is both an opportunity and a threat to existing organisations and start ups. Entrepreneurship means that those in existing organisations should be thinking “what does this new technology or idea mean for us?”. “How can we use it to cut costs, deliver more value and service to our clients?” Self interest means keeping a systematic eye and look out for competitor activities. If a better (cheaper, faster) way of doing things is being adopted by competitors, then companies have to adjust, improve or die. Without entrepreneurs and entrepreneurship, societies are destined to stagnate, wither away and die. 60 years of welfare capitalism has deadened the sense of urgency and necessity in many Western European countries. The disaster of communism in Central Eastern Europe has left a positive legacy: an awareness that people cannot rely on the state to solve all our problems and that we have to look after ourselves if we do not want to be dependent on the goodwill of others. Some societies in Southern and Western Europe are only dimly beginning to realise how their lack of economic dynamism threatens not just their living standards but their national independence and social stability. This appeal from entrepreneurs in Spain gives a sense of the debate. What kind of entrepreneurship barriers do you see in Poland? There are cultural, social, and institutional barriers. The cultural barriers are the way in the media celebrates leisure and rest as an ideal form on being” “thank goodness its Friday, what a pity the weekend is ending”. The McGregorian idea that working and being productive is can lead to personal fulfilment and happiness is presented as a weird work-a-holicism. Many parents, grandparents, teachers, priests and authority figures do not see “starting a business” as a respectable career choice. If you do want to start a business, the bureaucratic environment is extremely unsupportive. The labour code assumes that someone starting a business has almost unlimited time to read and understand ridiculous and complex laws concerning employment contracts, sick pay, holidays, and documentation. It should be enough for a small business to be legally obliged to pay its staff as agreed, be legally liable to keep the work place safe and leave it at that. Tax and ZUS regulations could clearly be made more simple. I am not complaining about the level but the degree of knowledge needed to be compliant. Financial barriers: There is far more advertising to promote consumption than investment in business. I would tell every bank that for every advert promoting consumer credit they have to advertise loans for small business, and have a tax on consumer credit that is used to subsidise small business loans, especially for those without collateral. What are the main differences between Poland and United Kingdom in the context of entrepreneurship development? The situation in the UK is far from perfect. I live in Poland so my perspective is limited. I get the impression that there is a political consensus in the UK that entrepreneurs are needed and good without a clear idea of how to make the culture more entrepreneurial. In recent years TV programmes such as the Apprentice and Dragons Den, business networking events in Universities and elsewhere, have really taken off. There are great “eco system” support networks, like those in Cambridge, where banks. VCs, Seed capital funds, local government, business schools, the university, technology parks, angel investors, work together without much in the way of rivalry or professional jealousy. An enterprising culture is very important in the modern world, and it has never been so easy to become a part of it. The SMAR7 Apps are an example of the new level of efficiency that now exists within the consumer-driven world. If someone wants to find business support networks in the UK they can. I am not sure that is true outside the major cities in Poland, though anyone who says “nothing is going on in Poland” should spend 5 minutes on Google, Any would be entrepreneur who is “too busy” to do that lacks motivation and needs to change his or her attitude. Trust is a major issue in Polish society or rather the lack of it. Too many people assume that everyone else is gong to cheat them. For people with business ideas the problem manifests itself in way it prevents people from talking to others about their business idea. This needs to change. The big challenge in business is effective implementation of ideas, not the idea itself. You support many initiatives which stimulate entrepreneurial culture in Poland. One example of it is your project znaniabsolwenci.pl. Could you describe it? School pupils at Primary (Szko?a Podstawowa), Secondary (Gimnazjum) and High school (Szko?a ?rednia) can win 500 z?otych if they find, interview and publish interviews with alumni from their school who have achieved success and/or established a business. • Provide children with positive role models, of people who studied in the same classrooms as they do, and have now done something impressive with their lives. While these are ambitious aims, it is also a pilot project. We want to do the competition, learn the lessons, and do it better next year, maybe roll out worldwide in other languages. This year we are allowing schoolchildren to interview business people who did not go to their school this time round, so that even if there are no entrepreneurs able or willing to help in a particular school children can still go in. Poland does not yet have a strong tradition of school alumni helping their schools as volunteers. Schools seldom celebrate the successes of their alumni. When I see British schools and universities organising events with their alumni for the benefit of their pupils that cost no money, I think “why not in Poland?” which after all in a less wealthy country. Alumni school links do not require tax payer or EU subsidy. They are sustainable and can carry on even when tax payer money runs out. There is no bureaucracy, and the benefit for school children can be very high. It’s much better to hear about the world of business from a businessman, journalism from a journalist etc. than a career training organisation. It’s good that we are working with Primary Schools as well as schools for older children. Many people in Poland instinctively think that that 6-7 year old pupils are “too young” to learn about enterprise. This way of thinking has its roots in old Marxist, pessimistic and feudal beliefs about work being a necessary evil, rather than being part of what gives life its meaning. Young children are just as capable of understanding about work and business as older people, sometimes even more so. If Poland wants to compete to her maximum potential in the global economy, she needs future generations to have a positive attitude to work and enterprise. Bringing former alumni back into schools who have achieved something and are ready to donate their time for free is a powerful positive role model. Who knows how many of today’s children have the potential to start a business employing 5, 50 or even thousands of people, provided someone shows up in their classroom at tells them it can be done, and that person is credible because they have already done it. Do you see entrepreneurship potential in Polish youth? Very much, but this is a wider topic. My children have two passports, British and Polish. 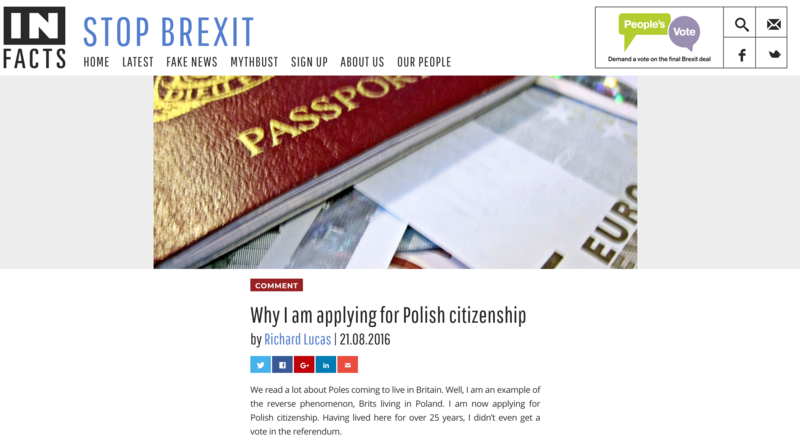 (update since 2016 I have a Polish passport too) . See more about that topic on Infacts.org and here . I have friends and business partners from all over the world. I feel good when I hear of a business success from any country, where the founders have done something impressive (not just exploited political contacts or got an EU grant). Entrepreneurship and enterprise as more than a competition between countries. A good new business can create value, jobs and wealth for all stake holders, suppliers, clients, employees, shareholders in whatever country and still make good money. It should also invest in ways to protect their business should things go wrong by getting public liability insurance. This is common sense because you can’t grow a business if you’re involved in legal drama, tradesmansaver.co.uk can provide a quote if your business doesn’t have this insurance. This is not to say that other businesses are exempt from requiring this insurance. In fact, all businesses that interact with the public should be covered in some form. Visiting www.constructaquote.com could prove useful to any business owner with fears they are unprotected. I know that I have made more money than many employees who have worked for me but I also know that there is nothing to stop them (unless they signed Non-Competition agreements) from doing their own business. I believe in free trade and free markets. If Poland imports goods and services from good foreign companies, paid for by money earned in Poland, we win as well. We need to export as well but the old mercantilist “exports good/imports bad” way of thinking doesn’t make sense to me. A company I used run (and am still proud to be a shareholder in, PMR with British and American shareholders, helped a large South American mining conglomerate do business in Serbia. The staff working on the project were not Polish. We made a profit and so paid taxes in Poland but was it a “Polish” business. I don’t think it matters very much. There is a lot of room to increase the promotion of enterprise and business in Polish schools, universities and society by business people. You are great fan of the “Creative Commons” idea. What exactly is it and why do you support it so much? and immediately realised this was the perfect solution for a problem that has bothered me for a long time (this was also the first TED talk I ever saw). The problem is that when people create materials for promoting enterprise the value is very much reduced because it is not available to other people working in the same area. 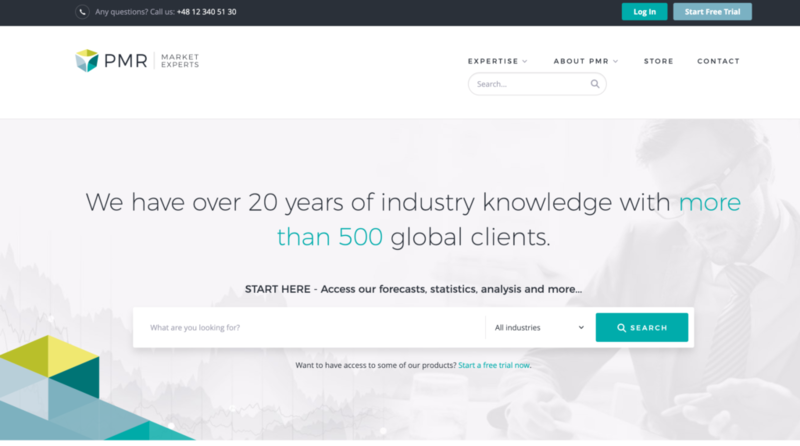 Where the presentations, workshops and content is being created by professional trainers or publishers who live from selling training services it is understandable they want to keep control of their content. However when the work they are doing is being financed either by pro-enterprise foundations like Kauffman (who support for Global Entrepreneurship Week, and Start up Weekends) or paid for out by taxpayers through government or international agency – like the EU then it annoys me that the work is not available for everyone who wants to use it, given that we as taxpayers have bought it in the first place. Even if presentations are made available on line (for example, in Malopolska, we asked those doing projects as part of GEW to make them available afterwards) it is still a problem if someone wants to use the materials in a workshop because they need to permission and this takes time and effort that is not necessary. When I or other people are doing projects as volunteers and we put in the creative commons we build the amount of materials available for others. In Poland we are “starting from behind” in terms of the resources available and the tradition (or the need to build it) of business people supporting entrepreneurs.